We all know the situation in Dallas. In just two weeks of the 2016 season, the Cowboys lost two corner-stone pieces of their team: Tony Romo and Dez Bryant. Bryant plans on returning week 7 against the Giants, while Romo might return as early as November 22nd against the Miami Dolphins. While the possibility of Bryant returning as early as week 7 is certainly optimistic for Cowboys fans, but the Cowboys right now are a hot mess. And even IF Bryant returns week 7, there is no guarantee that his return will translate to wins without the presence of Tony Romo. Let’s go back to last year. Tony Romo was sidelined with a back injury which meant that quarterback Brandon Weeden would make his first start against the Arizona Cardinals. The Cowboys lost 17-28, but let’s remember who Weeden was playing with: DeMarco Murray and Dez Bryant. To struggle on offense with this talent is preposterous. And I’ll argue that last year’s Dallas Cowboys was a lot better than this year’s version. As shown through last year, the Cowboys are bad enough without Romo. But to be without Dez Bryant, now that is a different story. The Cowboys desperately need a spark on offense. Terrance Williams and Cole Beasley are solid receivers, but the Cowboys receiving core just isn’t the same without Bryant’s talent and on-field swagger. The running game has been inconsistent, and neither Darren McFadden nor Joseph Randle have played well enough to solidify themselves as 3-down back. Because of the inconsistency at running back, the Cowboys are reportedly planning to start free-agent pickup and former Seattle Seahawk Christine Michael. “The Cowboys will be fine without Romo because Brandon Weeden is one of the best backups in the league. He’s got a cannon of an arm, a quick delivery and best of all, a former first round pick! The Cowboys will be just fine!” said many fans after Romo’s injury. Then, Cowboys fans witnessed Brandon Weeden consistently missing open receivers. And then, Cowboys fans witnessed Weeden throw another careless interception. And even after that, Cowboys fans witnessed Weeden taking no risks and just throwing check-down passes. And even LATER after that, Cowboys fans realized that they didn’t face the reality of what Brandon Weeden really is: a quarterback can’t read overages, has scattershot accuracy, makes poor decisions, and is responsible for probably the worst interception in NFL history. Brandon Weeden deserved to get benched. 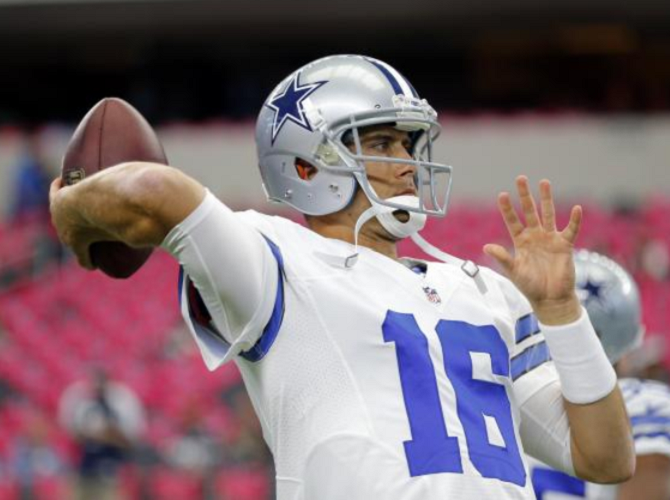 And now, it is Matt Cassel’s time to hold up the fort. And again, Cowboys fans will probably drive themselves into that same false reality. “The Cowboys should be just fine with Cassel because he played well as Tom Brady’s backup when he was in New England. He’s got a cannon of an arm, will take more risks, and best of all, has a proven track record of winning.” However, Cowboys fans will again forget the reality of the situation they’re really in: Matt Cassel really isn’t much better than Weeden. Cassel is far past his prime, and every year, his completion percentage, QBR, and touchdowns decrease while his interceptions only increase. Maybe I’m wrong. Maybe Matt Cassel will go back to his old form. Maybe Christine Michael will provide the spark that this Cowboys offense desperately needs. But until we see results on the field, Cowboys fans might have to face the reality that their football team right now is not very good right now. 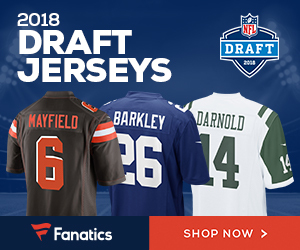 Be the first to comment on "Cowboys Offense a Mess Heading Into Week 7"